Facebook is changing the way advertisers set their campaign budgets. Starting in September 2019, all Facebook ad campaigns are going to shift to campaign budget optimization. This indicates that advertisers need to set one central campaign budget throughout all ad sets. The budget distribution to highest performing ad sets will automatically be done by Facebook. This would generate the best results for a campaign. 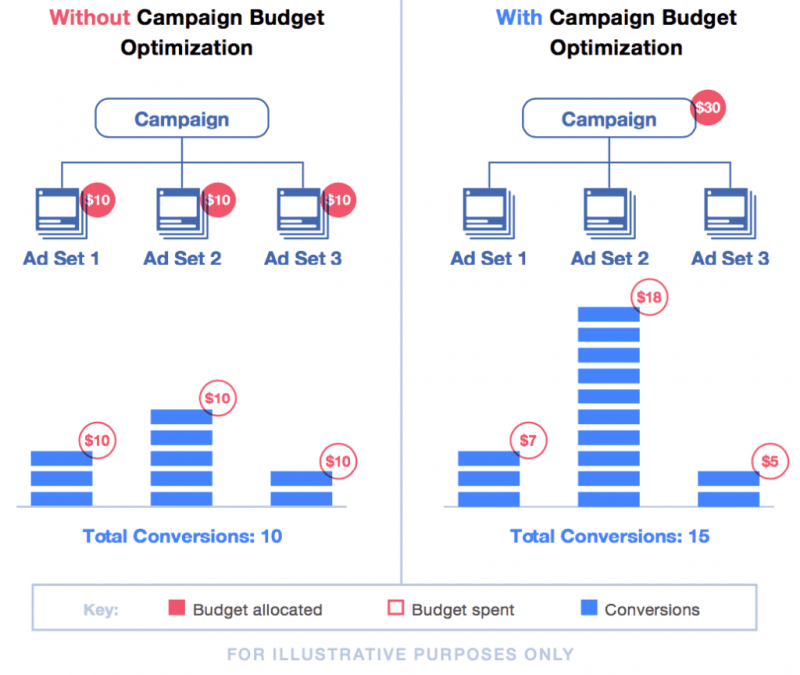 Here is an example of campaigns with and without campaign budget optimization. The to-be change would be applicable to all new and current campaigns. Advertisers can also be able to set budgets for individual ad sets. In September, the budget optimization will be the default setting and it can’t be turned off. However, Facebook says campaign budget optimization can produce more results and lower costs. Offers best ROI to your budget and also reduce your overall cost for every result. It’s an easy campaign management procedure with minimum budgets to track and re-allocate through optimization. Facebook is providing ample time to catch up with campaign budget optimization before it becomes the default.